Locally owned and operated with over 30 years of mechanical and car experience, we assure reliability. Gecko is a car hire service located in Winnellie, Northern Territory. 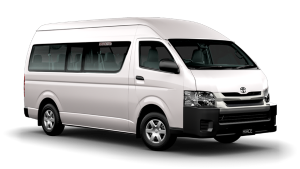 We have a range of vehicles from small-sized, hatchback Toyota Corollas to sedans, utes as well as 8 and 12 seater people movers. Whether you need a small car for city driving or want to explore the regions around Darwin and move your sports team to and from events, Gecko has you covered. ​100 free km per day. All prices quoted are based on weekly rates and seasonal demand. No hidden fees. All payments must be made by credit card (Visa/Mastercard). Debit cards require deposit. No cash. Vehicles for use on sealed roads only. ​​Cars can travel up to 300km radius from Darwin. Minimum car hire 2 days. All drivers must be 25 years and hold a current driver's license. Found Gecko car hire in Darwin to be very helpful with all the information you need. Best place to rent as cars are well looked after, clean and a great price. I was very well looked after. Prices were great. I am now looking to hire from Gecko again later this year.